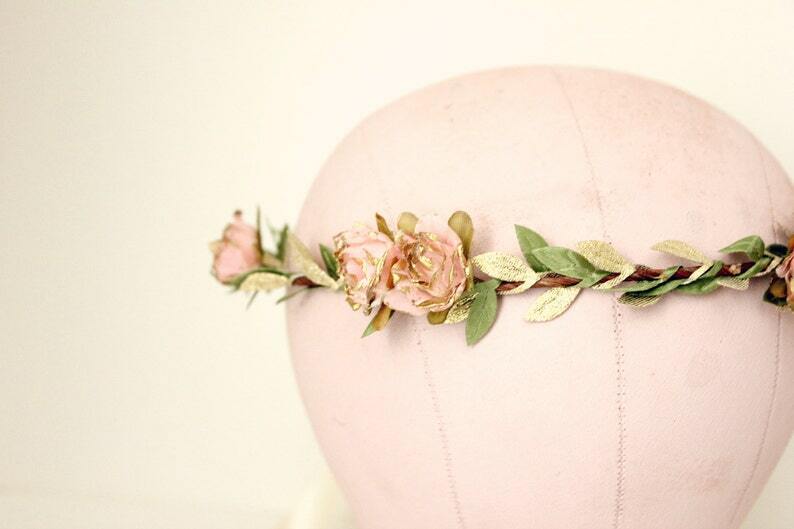 Adorable and magical bohemian inspired halo featuring leaves ribbon in olive green, and metallic glittgold with pretty pink and gold fabric roses attached to a vine wire base. 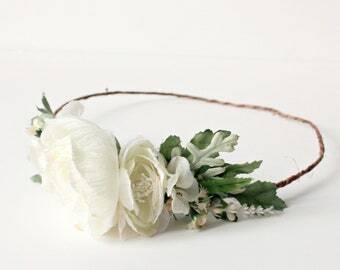 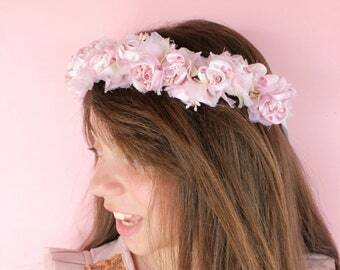 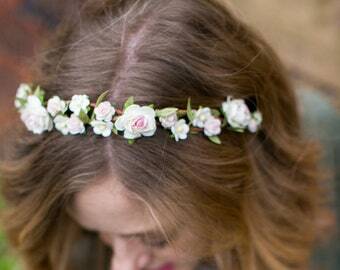 This floral halo is open on the back and have a white ribbon to adjust to fit any size of head. 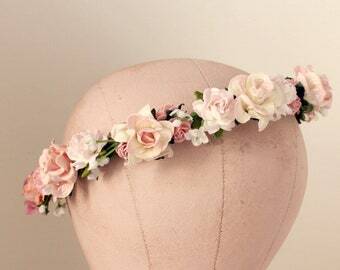 *** Veil is not included.